Our first settlers arrived 5,000 years ago. 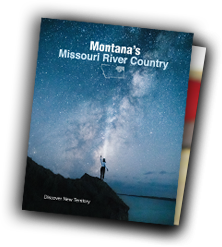 Lewis and Clark may have been early visitors to Missouri River Country, but when they arrived the region was already home to the Assiniboine people. Members of the Sioux Nation call our corner of Montana home, and their proud cultural heritage continues to be celebrated today. Annual pow wows are held on the Fort Peck reservation, where traditional dance, song, and tribal ceremonies can be experienced. Visitors can meet with the singers, dancers and drummers to learn about their roles in the pow wow. The Assiniboine and Sioux Cultural Center and Museum in Poplar provides many examples of the arts and crafts of our native people. For more information, please visit the Montana Tribal Tourism Alliance website. Fort Peck Indian Reservation is the home of the Assiniboine and Sioux Nations. The town of Wolf Point is loaded within Fort Peck Indian Reservation. The reservation is also home to genetically pure bison, which have been relocated from Yellowstone National Park. Indian Reservation Fort Belknap Indian Reservation is home to the Gros Ventre and Assiniboine Nations.